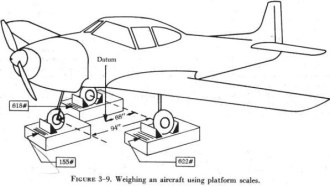 Weighing – SCHMIDT AVIATION INC.
Do you know how to safely load your plane?Fly Safely! FAA regulations require that you must have current weight and balance data on board your plane. Equipment is removed. New equipment is installed. Some wires are removed, some added. How can current weight and balance data be calculated? Unless your aircraft has been weighed recently, chances are that your weight and balance data isn't current. Under Aircraft Weighing Corp., we weigh all types of aircraft from Piper Cubs through a Gulfstream 500. We have 3 sets of modern digital electronic scales. One is a set of load cells that go on top of jacks and can weigh a plane weighing up to 30,000 pounds. Another is also a set of jack top load cells that have a total weighing capacity of 75,000 pounds. Our last set is a digital set of under wheel scales that can weigh up to a total of 30,000 pounds. We can weigh at FXE in our hangar or can travel to your facility. We travel to Tampa, St Augustine and Homestead. Call us today to discuss or schedule weighing of your plane.